The Municipal Art Society of New York (MAS) is a leading independent advocacy organization that inspires, educates, and empowers New Yorkers to engage in the betterment of their city. 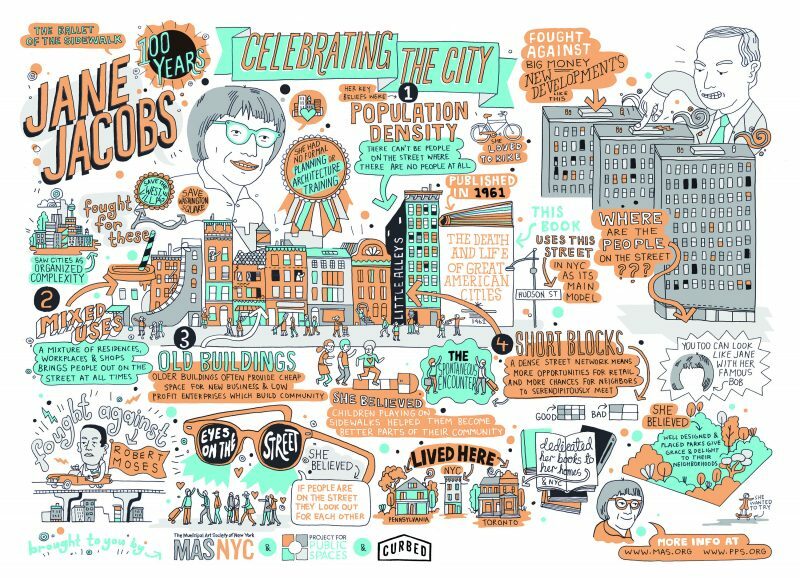 This year, MAS welcomes you to join Celebrating the City: Jane Jacobs at 100, a celebration dedicated to legendary urban activist Jane Jacobs on the 100th anniversary of her birth. Jane Jacobs believed in empowering urban citizens to get involved in their communities and shape their city. 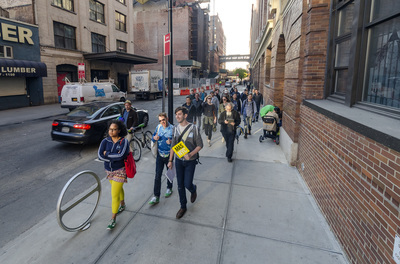 [A great synopsis, called Jane Jacobs: Ten Big Ideas by Nate Storing, formerly of the Jane’s Walk Project Office and now at Project for Public Spaces, is here.] The celebration, spanning May through October 2016, will honor her impact by bringing together hundreds of self-organized events and activities under a single banner that reveal the dynamic energy, innovation and creativity of cities. Encompassing everything from installations and walking tours to workshops and public performances, this website aggregated all the unique ways that people are paying tribute to Jacobs’ legacy.